Ken Ham’s “Ark Encounter” Sinking Under the Weight of Heavy Lies? 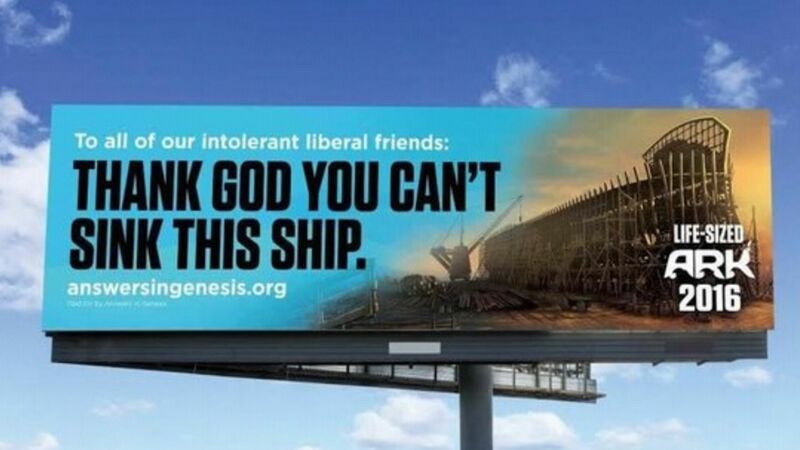 In the ongoing drama that is Ken Ham’s halting and sadly hilarious attempt to get the Kentucky state government to fund his creationist propaganda debacle, also known as “Ark Encounter”, time and time again it seems that he cannot avoid both controversy and the law. Now it seems as if Ken Ham and his Answers In Genesis organization (the creationist parent organization of both the floundering Creationist Museum and Ark Encounter) are mired in even more controversy: they apparently lied about the number of people who would be attending the new park attraction when they applied for an $18.25 million tax rebate through the Kentucky Tourism, Arts and Heritage Cabinet. … Now, thanks to an open records request by Ed Hensley of the Kentucky Secular Society, we know that AiG was less than truthful in at least a portion of its application. Ark Encounter claimed it would have 1.2 to 2 million visitors annually. This included an estimate of over 1.6 million visitors in the park’s first year. But the reality is nowhere near that high. Kentucky sent AiG’s application out for review, and Hunden Strategic Partners in Chicago determined that if the Ark Park remained a purely religious attraction, it would generate about 325,000 visitors its first year, rise to 425,000 in its third year and eventually fall to 275,000 by its seventh year in business. This would mean the Ark Park could create about 514 jobs, Hunden said. … Hunden also noted that AiG’s estimate was provided by the South Carolina-based America’s Research Group, which has ties to AiG head Ken Ham. Wow. At this point, I’ll let the reader decide on whether or not the state of Kentucky made a good decision to not award the tax rebates to AiG. It seems that Ham isn’t above skirting both ethics and the law to “do the Lord’s work” in an attempt to get his hands into the public coffers – whatever happened to him being an honest Christian? Imagine my surprise when I found out today that my home state of Kentucky, which I often refer to as the “buckle of the Bible Belt”, actually took a firm stand in favor of church-state separation! Today the state’s Tourism, Arts, and Heritage Cabinet informed uber-creationist and all-around pseudo-scientist Ken Ham that his over-budget and under-delivered Ark Encounter will NOT be receiving the tax breaks he has so long sought from the state government (which he really needs due to the questionable financial situation of his endeavor). Why has this happened? Because Ken Ham thinks that anti-discrimination laws shouldn’t apply to his organization in the hiring of employees (he wants to force employees of an organization which receives public money to sign the Answers in Genesis “Statement of Faith”), and the state has decided (wisely) that that is going too far and would be a clear violation of separation of church and state. So, they’ve closed the door on ol’ Ham and his ruse. A proposed Noah’s ark theme park in Northern Kentucky has been turned down for around $18 million in state tax incentives amid concerns that it will promote religion and violate the separation of church and state. But the group behind the project — Answers in Genesis — says it is considering legal action in federal court. The state Tourism, Arts and Heritage Cabinet said in a letter Wednesday that the Ark Encounter theme park has changed it’s position on hiring policies since it originally filed for incentives in 2010 and now intends to discriminate in hiring based on religion. 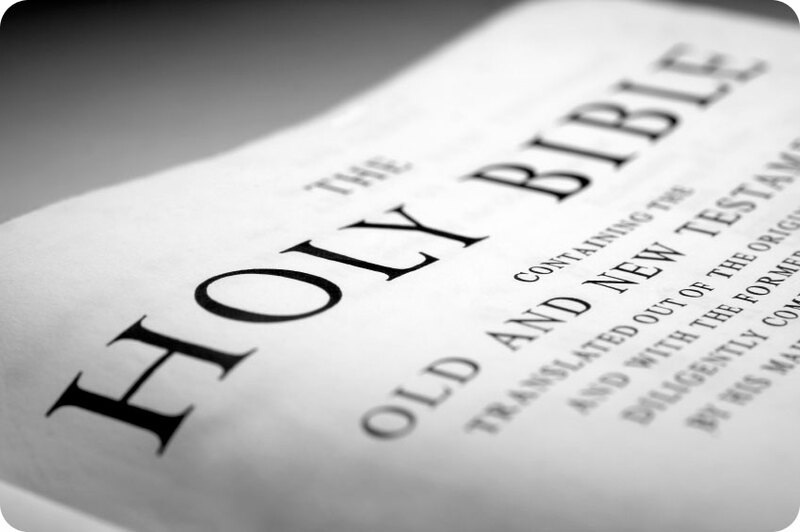 It also said the park has evolved from a tourist attraction into an extension of the ministry activities undertaken by Answers in Genesis, which promotes a literal interpretation of the Bible’s old testament and argues that the Earth is only 6,000 years old. Officials will “take no further action” on the application, he said. But, Alex Luchenitser, associate legal director for Americans United for Separation of Church and State, said it’s unlikely a lawsuit could succeed in federal court. He said the U.S. Supreme Court has made clear that states can deny taxpayer subsidies to religious groups if officials are concerned that funds will support religious activities. I’m sure this ongoing drama won’t stop here; it will likely take Ham and his creationist allies getting smacked down by the courts, multiple times, before they give up this lost cause. As I have documented many times before, uber-creationist Ken Ham has been trying to get a new attraction built named Ark Encounter (which is Ham’s version of the mythical Noah’s Ark) that would boost lagging attendance at his Creation Museum. And he’s been trying to get the state of Kentucky to fund this misadventure with public dollars and tax breaks, with varying degrees of success; though, sadly, up until this point the KY officials have appeared all-too-willing to accommodate Ham. If you want to read the full background on this slow-motion train wreck – and the various scientific and church-state issues it raises – feel free to read here, here, and here. What I want to focus upon in this latest post is a new and highly troublesome wrinkle in Ham’s plans to pull the wool over the eyes of Kentucky public officials. It seems that Ham billed Ark Encounter as a for-profit venture while also simultaneously seeking tax breaks and other goodies from the public trough; however, because Ark Encounter is under the auspices of Ham’s Answers In Genesis creationist organization, he appears to want to force any potential Ark Encounter employees to sign on to the Answers In Genesis “Statement of Faith”. Indeed, as The New Civil Rights Movement reported, Daniel Phelps, the president of the Kentucky Paleontological Society and vice president of Kentuckians for Science Education wrote an op-ed in which he details the issue. “On the day the tax incentives were recommended, the Answers in Genesis website had a help-wanted advertisement,” Phelps explained. Ham claims that the Ark museum will be run separately and differently from the Creation Museum. “The Commonwealth doesn’t believe that Ark Encounter, LLC will be complying with state and Federal law in its hiring practices,” Bob Stewart, secretary of the Kentucky Tourism, Arts and Heritage Cabinet, said in an Aug. 27 letter to an Ark Encounter attorney. Stewart wrote that “serious concerns” were raised by a job posting for an Ark Encounter position that required applicants to provide salvation testimony, a creation belief statement, and agreement with the “Statement of Faith” of Ark Encounter’s parent organization, Answers in Genesis. “Therefore, we are not prepared to move forward with consideration of the application for final approval without the assurance of Ark Encounter, LLC that it will not discriminate in any way on the basis of religion in hiring,” Stewart wrote. James Parsons, a Covington attorney representing Ark Encounter, responded to Stewart saying that the job posting that triggered Stewart’s concern was not for Ark Encounter, but Answers in Genesis. Parsons wrote that Ark Encounter stands by its longstanding commitment to “comply with all applicable federal and state laws” on hiring and said that Stewart was adding a new requirement to Ark Encounter’s application for tax incentives. Luchenitser said he believes there is a reason that Ark Encounter does not want to provide an express assurance it will not discriminate based on religion in its hiring practices yet insists it will comply with all federal and state hiring laws. In other words, it seems that Ken Ham wants to have his cake and eat it, too. He wants to be able to make money off of Ark Encounter, thus labeling it “for-profit”, yet he also wants to use it explicitly as a way of spreading his fundamentalist religious beliefs, even to the point of forcing those beliefs on potential employees. Of course, none of this surprises me, because once you understand that true-believers like Ham really do think they have God on their side, then any kind of behavior, no matter how underhanded or hypocritical, is acceptable in their quest to “save souls”. I don’t usually post on purely political topics, but some recent news is making me get out of my usual rut. I want to talk in this post about the U.S. drug problem… specifically, about how the “War on Drugs”, a.k.a. 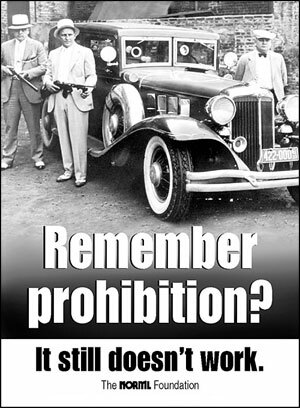 Drug Prohibition, is beyond useless – it has actually done far more harm than good. After 40 years, the United States’ war on drugs has cost $1 trillion and hundreds of thousands of lives, and for what? Drug use is rampant and violence even more brutal and widespread. Even U.S. drug czar Gil Kerlikowske concedes the strategy hasn’t worked. This week President Obama promised to “reduce drug use and the great damage it causes” with a new national policy that he said treats drug use more as a public health issue and focuses on prevention and treatment. Nevertheless, his administration has increased spending on interdiction and law enforcement to record levels both in dollars and in percentage terms; this year, they account for $10 billion of his $15.5 billion drug-control budget. Not only that, but at the high school where I teach there used to be a student supervisor who was a retired cop. Over the years of his time on the force, he spent considerable time working the drug beat. Just before he left the school, he confided in me a revelation he’d had: that all the work he and his colleagues had done in enforcing drug laws, fighting the dealers, and so on had done absolutely nothing to stop (or even limit) the drug problem. Nothing. That’s a startling revelation from someone whose profession it was to enforce the very laws and carry out the very War on Drugs which are supposed to protect us from this supposed scourge upon humanity.